Search.thesearchguard.com belongs to the family of potential unwanted programs which endorses itself as private search engine. It claims of making your online inquiries secure by encrypting them so that no other persons can see them. This program is compatible with Google Chrome and its extension gets installed on your device without your consent. This browser hijacker is able to deceive the people as its authors pack the code of this program into freeware and third party applications. This browser hijacker deploys fraudulent schemes and deceiving tactics to target and trick naïve users for leaving programs and infections on their devices. Though it targets only web programs, but you cannot ignore the kind of risk it may introduce. Under the effect of this program, computer users and internet surfers may lose their browsing information and other sort of sensitive data as it may control your online activities. The data and information Search.thesearchguard.com collects is used for intensive display of targeted advertisements. Due to the presence of Search.thesearchguard.com, users suffer annoyance and its makers reap the flow of profits through their advertising scheme. They integrate and pop-up ads and paid links into result pages that make it to look like search outcome. Diverting online users and internet traffic to partners website is also part of its revenue streaming strategy. This extension was made to generate online earnings that is why it was set as the default search engine and homepage. To remove the threat instantly, the procedures on this page is given in an easy to apply manner. If you don’t want to go through an amount of steps to remove threat, head to the quick removal method. Scan your infected computer defencebyte AV Pro then proceed to the further solutions. Note: Before starting the removal process, take backup of all your important data. steps recommended to locate and delete deeply hidden malicious codes and files using defencebyte AV Pro. 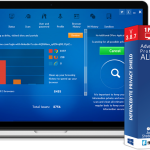 defencebyte AV Pro is an efficient tool that will help you in not only detecting, but also keeping your computer protected from various viruses, malware, and adware. Download and install the defencebyte AV Pro on your device. Save the file on the desktop or at any location from where you can access it easily. Once the download is complete, Windows will prompt about it. Browse the location of the folder and double click on the file defencebyteAVPro_.exe or click the program to run it. Agree upon the license terms and follow onscreen instructions to complete the download process. Once the download is complete, run a scan on your machine to find adware, browser hijacker, plug-ins, add-ons, PUP, harmful programs, and other malicious entities. Carry on with the remaining removal process by following on-screen instructions. Reboot your system for everything to take effect, once the scan and removal process is completed. It is important to clean your internet browser from unwanted add-on/extension and clutter while dealing with Search.thesearchguard.com and any other types of browser hijackers and adware. So here is the procedure discussed for resetting various browsers to their default state. 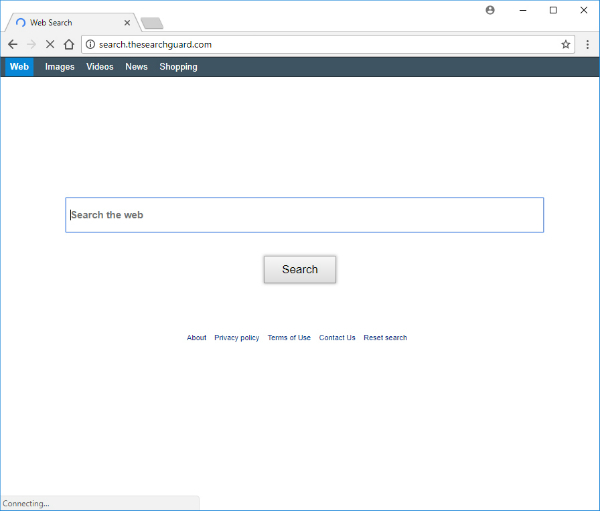 How to Reset Google Chrome Settings to Get Rid of Search.thesearchguard.com? Open Google Chrome browser application. In the address bar, type the string: chrome://settings/ and hit Enter key on keyboard. Scroll down the page until you see Show advanced settings… and click on it. Keep on scrolling to the bottom of the page until there appears Reset Settings section. Click on Reset Settings button there and click Reset if it prompts for confirmation. Resetting Chrome will reset your home page, search engine, new tab page, and other areas affected by Search.thesearchguard.com and also remove unwanted extensions from the browser without affecting your bookmarks, history, and other saved data.